She arrives in Boston as a slave, but by the time she turns twenty, she is a world-famous poet. Phillis Wheatley is a rare example of an enslaved Bostonian who had the chance to make her voice heard through her poems. The family who claimed ownership of her encouraged and even helped her to publish her poems but the poems themselves contained subtle criticisms of slavery. The poems were published in London where she gained enough popularity that people began to pressure the Wheatley family to free her from slavery. 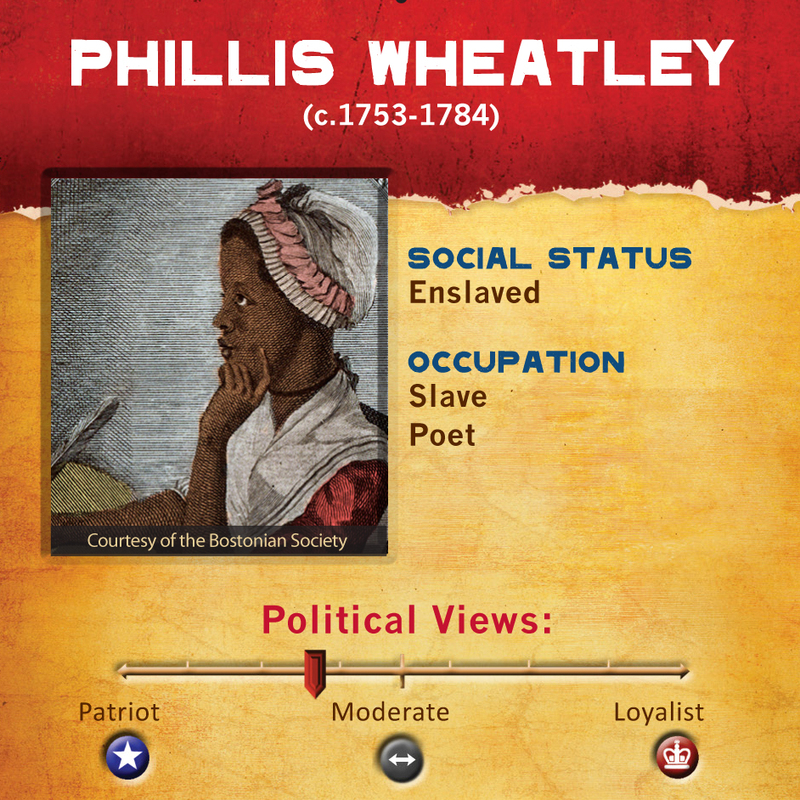 Phillis Wheatly from The Poetry Foundation- This page has a nice biography of Phillis Wheatley and features selections of her poetry. “Phillis” is the name of the slave ship that brings you from Africa. You are given the last name of the family who purchases you. The Wheatleys notice your intelligence and tutor you. You make a name publishing poetry in Boston newspapers. Your book of poems is published in London, where you travel to promote it. You are later freed, but are unable to publish more poetry. Impoverished and unhealthy, you die in your 30s and are buried in an unmarked grave.